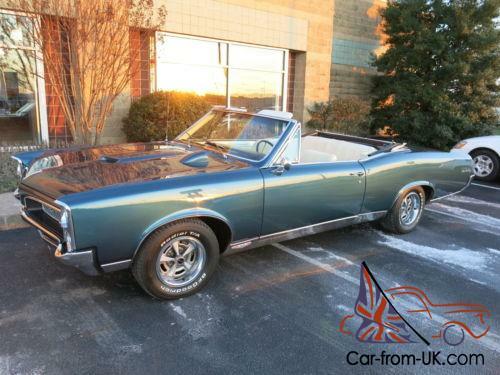 We are proud to offer this very rare and extremely nice example of a 1967 Pontiac GTO convertible. 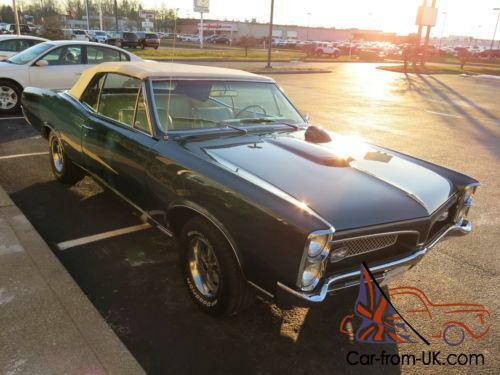 This GTO is in exceptionally nice condition inside and out. 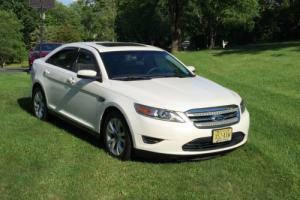 has always been very well cared for and drives like a new car - except with more attitude!! The car comes with the Pontiac Historical Society report and great documentation. A full description of the vehicle is below. Please check out all the photos posted here and also be sure to request the full set that we have available. The body is in exceptional condition with no dents. dings or scuffs. and the glass. carpet. leather. headliner. seats. etc. all are exceptionally nice. Prices are all over the place - you can find a GTO parts car for $15. 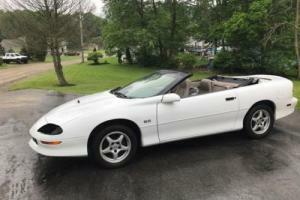 00 and completely restored cars are advertised for $150. 00. 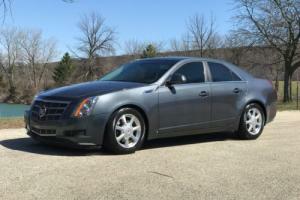 This car is much nicer than a driver and is priced very reasonably for what it is. It is finished in Tyrol blue with a white top over a Parchment interior. 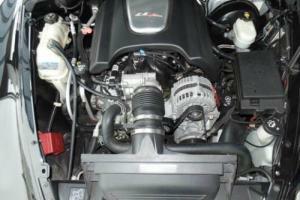 It is powered by a (YS) code 400ci engine with a Quadra Power 4bbl carb. 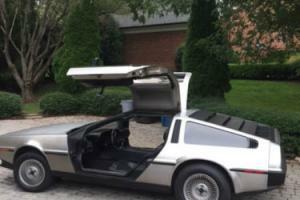 It has a J code Turbo Hydra-matic auto trans and the odometer shows 72. 16 miles. code 400ci engine. Quadra Power 4bbl carb and 10. 75:1 compression ratio. luggage compartment. underhood lamp. custom wheel discs. bucket seats with center console and white wide oval tires. thumbs-up! A nice. 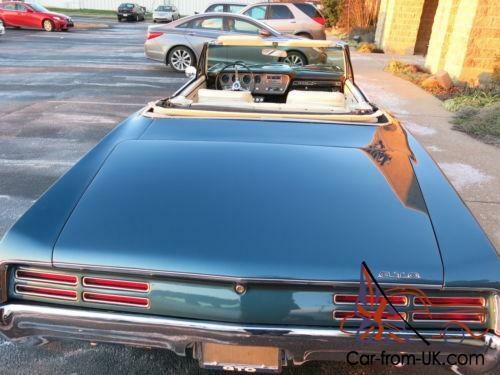 honest and high quality GTO convertible. Photos will show condition so please request them! New MSRP of approx. $3. 00. 00. The General Motors A-body platform. on which the GTO was based on. was totally redesigned for 1966. gaining more curvaceous styling with kicked-up rear fender lines for a "Coke-bottle" look. and a slightly "tunneled" backlight. The tail light featured a rare louvered cover. only seen on the GTO. Overall length grew only fractionally. to 206. 4 inches (524 cm). still on a 115 inch (292 cm) wheelbase. while width expanded to 74. 4 inches (189 cm). Rear track increased one inch (2. 5 cm). Overall weight remained about the same. Still using a 115" wheelbase. the GTO was longer and heavier. though it resembled the 1965 model from the front. 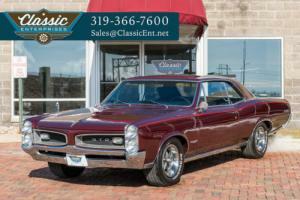 For 1966. the GTO became a separate model line which still included the three body styles-hardtop. coupe and convertible. 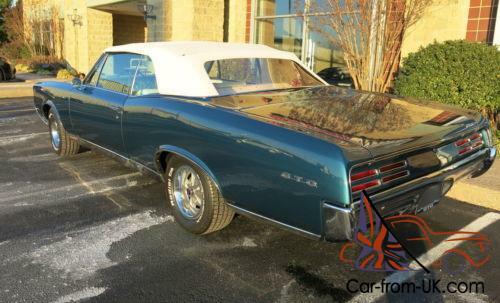 The GTO became a separate model series. rather than an optional performance package. with unique grille and tail lights. available as a pillared sports coupe. a hardtop sans pillars. or a convertible. 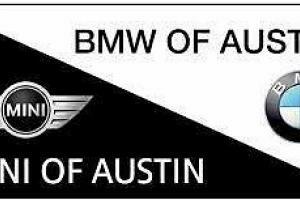 Also an automotive industry first. plastic front grilles replaced the pot metal and aluminum versions seen on earlier years. 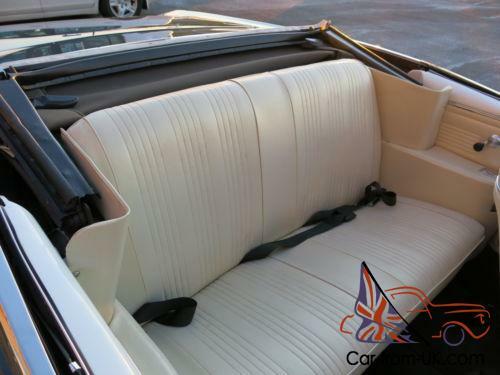 New Strato bucket seats were introduced with higher and thinner seat backs and contoured cushions for added comfort and adjustable headrests were introduced as a new option. 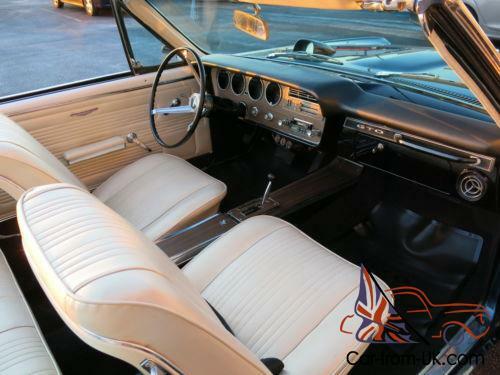 The instrument panel was redesigned and more integrated than in previous years with the ignition switch moved from the far left of the dash to the right of the steering wheel. Four pod instruments continued. and the GTO's dash was highlighted by walnut veneer trim. The 1966 split grille used vertical headlights as before but the grille openings tapered at the top and bottom as the grille approached the center dividing panel. The turn signal lamps were relocated next to the headlights and were attached to the plastic grille. Plastic was used for the first time on the 1966 grilles. The hood with its simulated scoop. was identical with the 1965's. save for the Pontiac crest located on the front center of the hood. From the side. the 1966 has a more distinct "coke bottle" look. All 1966s used a thin side pinstripe. rocker panel moldings that continued along the bottom of the rear fenders and wheel-well moldings. GTO emblems were located in the same places as before. Taillight treatment. too. was redesigned. The single taillight lamp unit was covered by a housing that had three horizontal louvers. Although bucket seats were standard equipment. an optional "Strato Bench" front seat was optionally available. The standard three-speed manual transmission came with a column-mounted shifter. Hurst shifters were standard equipment on the heavy-duty three speed and four-speed manual boxes. The close-ratio four-speed was available only with 3. 90 or 4. 33:1 rear axle ratios. Engine availability was unchanged again with a 335hp 389 c. i. V-8 as standard and the 360hp Tri-Power optional. The Tri-Power came with a larger center carburetor. During the model year another engine option was released. known as the XS engine option. after its engine block code. This included the Air Scoop package and a revised camshaft and it was the first Ram Air engine. The Air Scoop package was also revised to accommodate the larger center carburetor. Compression ratio was 10. 75:1 on all engines. 9. 5" drum brakes were still standard fare on the GTO with metallic linings optional. A front aluminum drum option was part of the heavy-duty ride and handling package. Exhaust splitters weren't used in 1966; chrome exhaust extensions exiting beneath the rear bumper were optional instead. Exhaust and tailpipes measured 2. 0" with all engines. 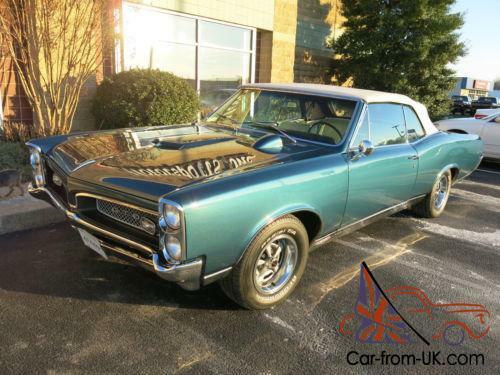 The GTO underwent a few styling changes in 1967. The louver-covered tail lights were replaced with eight tail lights. four on each side. Rally II wheels with colored lug nuts were also available in 1967. The GTO emblems located on the rear part of the fenders were moved to the chrome rocker panels. Also the grill was changed from a purely split grill. to one that shared some chrome. 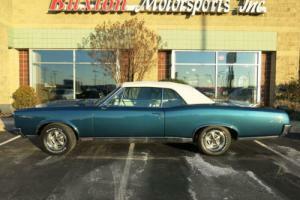 The GTO also saw several mechanical changes in 1967. The Tri-Power carburetion system was replaced with a Rochester Quadrajet four-barrel carburetor. The 389 engine received a larger cylinder bore (4. 12 inches. 104. 7 mm) for a total displacement of 400 CID (6. 5 L) V8. The 400 cubic inch engine was available in three models: economy. standard. and high output. The economy engine used a two-barrel carburetor rather than the Rochester Quadrajet and produced 265 hp (198 kW) at 4400 rpm. and 397 lb·ft (538 N·m) at 3400 rpm. The standard engine produced 335 hp (250 kW) at 5000 rpm. and the highest torque of the three engines at 441 lb·ft (598 N·m) at 3400 rpm. The high output engine produced the most power for that year at 360 hp (270 kW) at 5100 rpm. and produced 438 lb·ft (594 N·m) at 3600 rpm. Emission controls were fitted in GTOs sold in California. The 1967 model year required new safety equipment. A new energy-absorbing steering column was accompanied by an energy-absorbing steering wheel. padded instrument panel. non-protruding control knobs. and four-way emergency flashers. A shoulder belt option was also featured. and the brake master cylinder was now a dual reservoir unit with a backup hydraulic circuit. 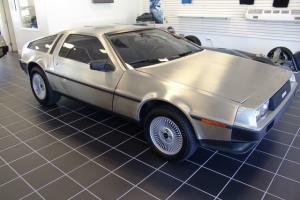 The two-speed automatic transmission was also replaced with a three-speed Turbo-Hydramatic TH-400. The TH-400 was equipped with a Hurst Performance dual-gate shifter. called a "his/hers" shifter. that permitted either automatic shifting in "drive" or manual selection through the gears. Front disc brakes were also an option in 1967. 1967 saw the last year for boxy straight lines. a new gun in the Pontiac model lineup. the Firebird. would shape the next years GTO lineup. 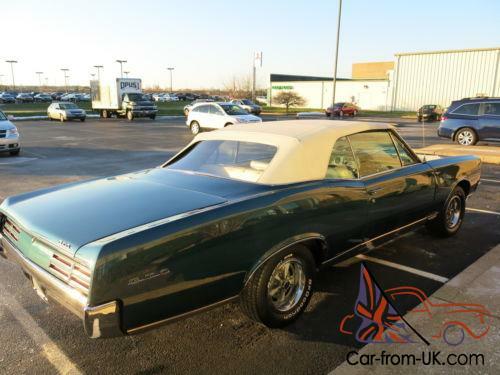 There were few differences on the 1967 GTO from the previous year. Most notable were the twin pin stripes along the upper beltline and body side accent moldings were slightly revised. GTO buyers also had a new choice of power when it came to engine displacement. Standard was the new 400 cubic inch engine that produced 255 horsepower. A severe drop in standard horsepower from the previous year. Two optional horsepower rated 400's were available to power hungry consumers. A 335 and a 360 horsepower 400 cubic inch motor were available. 1. The GTO represented a shift in what a performance car was to become. Instead of full-sized powerful luxury cars. 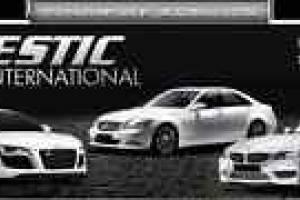 such as Pontiac 2+2 or the Chrysler 300. powerful intermediate-sized cars were gaining popularity. 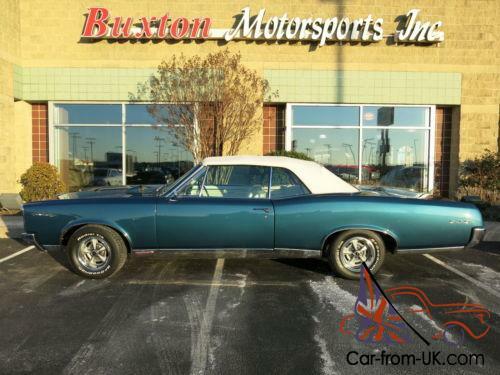 Richard Langworth and Graham Robson argued in their book "Collectible Cars 1930-1980" that the GTO ushered in the new muscle car concept in 1964 as a trim package for the Pontiac Tempest. 2. Langworth and Robson wrote in the "Collectible Cars 1930-1980" that the initial package offering for the 1964 Tempest GTO was a 389 CID V-8 engine. quick steering. stiffer suspension and dual exhausts. Musclecar Facts. com states that package was carried over in 1966. The base 389 produced 335 bhp. It was equipped with a single four-barrel carburetor. Buyers had the choice of ordering a "Tri Power" (three two-barrel carburetors) setup that produced 360 bhp. Musclecar Facts. com states a rare ram air option could be ordered for the GTO. Its alleged horsepower rating was the same as the Tri Power GTO. 360 bhp. 3. Musclecar Facts. com reports the base 389 CID engine. with its single four-barrel carburetor. produced 431 pounds feet of torque at 3200 RPM. The Tri Power GTO with its three two-barrel carburetors produced 424 pounds feet of torque at 3600 RPM. 4. Manual steering was standard on GTO and was known as "quick" steering. In 1965. John Ethridge of "Motor Trend" magazine test-drove a GTO. He noted that the optional power steering gave a better feel for the road and had stronger caster returns than the "quick" steering. In fact. the GTO had one of the quickest caster returns in the lot. according to Ethridge. 5. General Motors had an engine displacement ban. which forbade intermediate-sized cars using factory engines larger than 400 CID. Mark McCort of Hemmings. com quoted John DeLorean's statement about the significance of the GTO: "The GTO represents Pontiac's answer to the blandness among lower priced automotive products. " The engine ban was lifted in 1970. but the years of the muscle car were numbered. The Pontiac skunk works team that decided to shoehorn an optional large-displacement V-8 engine into their affordable two-door intermediate variants. to get around GM's large-displacement ban. probably had no idea quite how revolutionary their newest sporting vehicles would be. or what they would do to the automotive marketplace of the mid 1960s. The GTO. with its European nameplate. metric displacement badges. and ability to corner nearly as well as it went in a straight line. ushered in a new game in Detroit and left its competition in a haze of unburned hydrocarbons and burned bias-ply smoke. Seemingly overnight. a niche was cemented. and the imitators. innovators and tagalongs would follow in droves. Pontiac's GTO claimed its title as the best-selling nameplate of the muscle era. 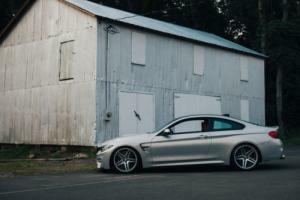 and it remains one of the most easily attained performance cars to scorch an American highway. The second-generation GTOs. produced in 1966 and 1967. are considered by many to be the purest. with their handsome. aggressive styling and powerful engines with minimal pollution controls. These cars were available in pillared sport coupe. 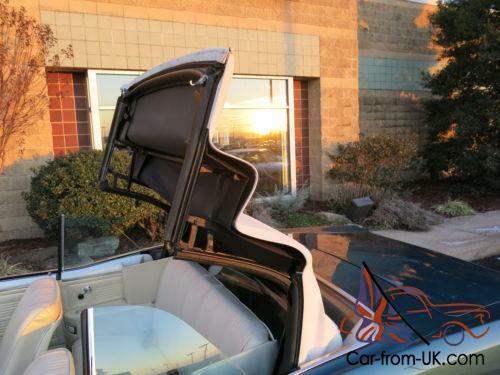 pillarless hardtop coupe and convertible body styles; with plentiful parts support. a hugely enthusiastic following and values starting well under $10. 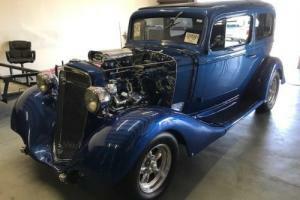 00. they rank among the easiest and most popular vintage muscle cars to restore and run. Based on the modest Tempest/LeMans A-body platform. 1964-1965 GTOs were Cinderella stories of inexpensive parts in capable cars. adding up to big popularity. With European-themed performance in an optional. affordable. American-sized package. these cars brought a youthful spirit to GM's stuffy passenger-car lineup. Part of the GTO mystique came from the nameplate emblems on their twin grilles. 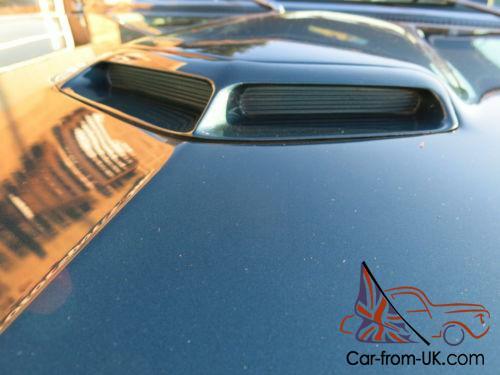 and the V-shaped front quarter panel badges that announced engine displacement in "Litres" (6. 5). rather than in cubic inches (389); the rest of the image originated under the hood. The standard 325hp (335hp in 1965-66) engine breathed through a single carburetor. and Tri-Power triple carburetors were installed atop the optional 348hp (360hp in 1965-66) mill. And. to the delight of many. it took longer to read the options list than it did for the GTO to drive a quarter-mile in anger. A redesign of Pontiac's A-body line in 1966 benefited the now stand-alone GTO. giving it a softly curving beltline with matching lower-body contours. Stacked headlamps reappeared. and twin black grilles sloped to converge in a wide center bar. The twin-nostril hood scoop remained. 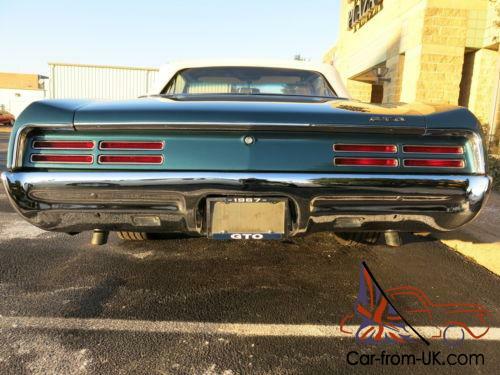 and louvered taillamps rested in a rectangular panel with distinctive flared corners. The coupes gained a near-fastback roof with flying buttresses that limited visibility but added flair. Inside. 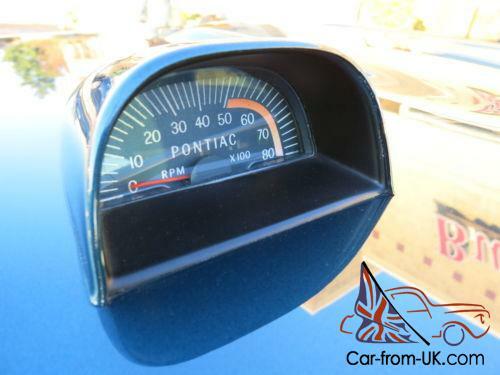 a single-plane dash trimmed in genuine walnut veneer and front bucket seats with curved steel backs were changes. while the Tri-Power setup got an enlarged center carburetor. A column-shifted three-speed manual was now standard. with a console-shifted three-speed and close- or wide-ratio four-speeds. with different gear ratios. making the options list. The convertible's stiff. fully boxed frame could still be ordered under both coupes. The GTOs of 1967 ushered in minor cosmetic alterations. but retained their hallmark focus on affordable performance with new 400-cu. in. engines. Body refinements included wider chrome rocker trim (incorporating the displacement badge). aluminum mesh grille inserts. and slotted taillamps in a rectangular surround. 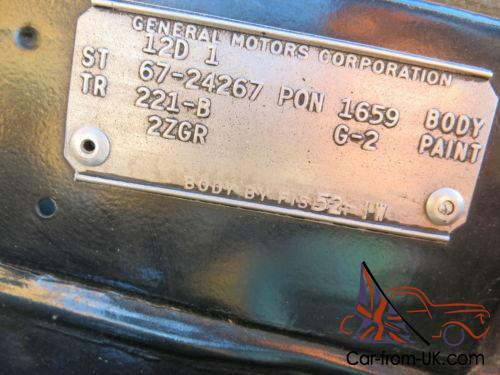 The TH400 3-speed automatic transmission was newly optional ($226) in GTOs. and required minor frame modifications to fit under the car. while its console shifter was a His and Hers Hurst unit. Safe-T-Track differentials. Rally II steel wheels. 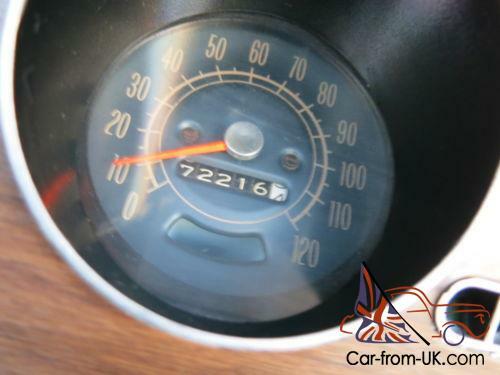 and a hood tachometer were also available for discerning buyers. The biggest changes came under the hood. where Pontiac engineers created their 400-cu. in. engine by combining the 4. 12-inch bore of the 428-cu. in. engine with the 326/389-cu. in. block. The result was 335hp with standard 4-bbl. Carter carburetion. A new economy-minded. no-cost choice was the 2-bbl. carbureted. 400-cu. in. V-8 that made 255hp; on the opposite end of the spectrum were the performance High Output and Ram-Air engines. The HO used altered ignition tuning and cam timing. and better intake/exhaust breathing to make 360hp. while the dealer-installed Ram-Air package negated optional A/C but added lower gearing. a functional hood scoop. sealed air box and advanced cam timing to produce the same (yet underrated) horsepower figure. The GTO wore a handsome new body with the innovative Endura flexible front bumper for the next two years. gaining new end clips in 1970 that would last until 1972. 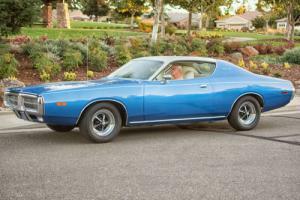 "The Judge" was a flashy performance and appearance package available from 1969 to 1971. when a 455-cu. in. V-8 was top dog. In 1973. the name became an option package on the Colonnade-styled LeMans sport coupe. and the final gasp came in 1974. when the slow-selling option (which included a 350-cu. in. V-8) came only on the X-body Ventura coupe or hatchback. Total 1964-1974 GTO production figures indicate that more than a half-million GTO-badged vehicles were built. Although the hardtop 1966 and 1967 GTOs sold more than five times the number of convertibles and sport coupes. (138. 61 hardtops built. versus 22. 15 convertibles and 17. 92 pillared sport coupes). a muscle car lover is nearly guaranteed a shot at locating the Goat of his or her dreams-just scan the pages of Hemmings Motor News to find more than 30 ads per month. 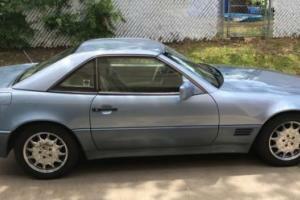 Easily restorable sport coupes or hardtop coupes can be located for $5. 00 to $7. 00. and with a restoration manual and a modicum of talent. an owner can transform a junker into a jewel. Although Tri-Power- and Ram-Air cars command the most money and respect. no GTO is lacking in charisma or motivation. With nearly all NOS. reproduction and used A-body parts and components available. a rabidly devoted following and plenty of performance upgrades for the choosing. a GTO is the smart way to go. What is the GTO's calling card? Raw power. courtesy of a standard 389- or 400-cubic-inch V-8. The original 6. 5-liter engine (actually 6. 4 until 1967) had a 4. 06-inch bore and 3. 75-inch stroke. and used its 10. 75:1 compression ratio. mild camshaft and Carter AFB four-barrel carburetor to produce 335hp at 5. 00 rpm and 431-lbs. -ft. of torque at 3. 00 rpm. Those ordering Pontiac's famed "TriPs. or Tri-Power triple carburetion. got three double-barrel Rochesters sitting on a new intake manifold; the intake had been redesigned to accommodate the enlarged middle carburetor for its final year. This engine made 360hp at 5. 00 rpm and 424-lbs. ft. of torque at 3. 00 rpm. While these engines were competitive. 1967's replacement 400-cu. in. V-8 jumped to the next level with its 4. 12-inch bore and 3. 75-inch stroke. 10. 75:1 compression ratio. NASCAR-influenced manifold and aluminum pistons. With the four-barrel Rochester Quadrajet. it made 335hp at 5. 00 rpm and 441-lbs. ft. of torque at 3. 00 rpm. In High Output trim (long-duration camshaft. open air cleaner element. freer breathing) it belted out 360hp at 5. 00 rpm and 438-lbs. ft. of torque. The ultimate option. Ram-Air induction. used cool outside air and a more radical cam to make the same (grossly underrated) power figures. making them the quickest and most temperamental GTOs to date. Jim Taylor. Pontiac engine specialist and owner of Jim Taylor Engine Service. considers these GTOs. saying. "As values increase. it is important to pay attention to engine codes. to make sure the numbers correlate with the date they were built. If a car now wearing a Tri-Power setup is found to have originally come with a single carburetor. its value isn't degraded. as this was an over-the-counter accessory that many owners retrofitted. " But if transmission or rear-axle assemblies are incorrect for the car. replacements can be expensive to locate. As with any older V-8 engines. listen and look for knocking or smoke. which can indicate worn bearings. piston rings or valve guides. Timing chains are durable and last between 70. 00 and 80. 00 miles. Problematic in early GTO engines were the aluminum cam gears with embedded nylon teeth. which would break off and spin into the fuel pump or get stuck in the oil-pressure pickup. Another drawback to the 389-cu. in. V-8 was the pressed-in rocker studs. which were replaced with more secure screw-in studs in the 400-cu. in. engine. Most large and small parts of both engines are readily and inexpensively available from major suppliers. with the exception of the 389 Tri-Power carburetor cores and the crankshafts from 400-cu. in. engines; Jim warns that locating these parts may require some searching. While iron-case. three-speed manuals were standard on all GTOs. in either floor- or column-shifted form. and optional automatics (two-speed Super Turbine 300 or three-speed Turbo Hydra-Matic 400) could be had. the hot transmissions to use are the optional aluminum-case Hurst-shifter four-speed Muncie manuals. With wide- (M20) or close-ratio (M21) gear spacing. these transmissions (like the others) are sturdy. reliable and easy to repair. As with other GM A-body vehicles. these transmissions are interchangeable. but only with those from Buicks. Oldsmobiles or other Pontiacs. due to their B-O-P bellhousing bolt pattern. Many performance modifications are easily adapted. including custom valve bodies or torque converters with altered stall speeds. Safe-T-Track positive-traction differentials were available to replace standard open units in both 1966 and 1967; two-pinion. cone-type units with 3. 08:1 through 3. 55:1 gears were a low-level option. while serious drivers could request a heavy-duty. four-pinion cone-type unit that used 3. 90:1. 4. 11:1 or 4. 33:1 gears. All these semi-floating hypoid differentials are long lasting. and new parts are easily acquired and swapped. All GTOs share a ball-joint independent front suspension. 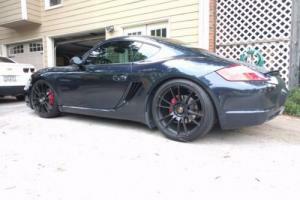 with upper and lower control arms mounted on rubber bushings. and these bushings tend to degrade with age. A set of new OEM bushings is an easy replacement. The four-link. pivoted control arm rear suspension with two-way Delco direct-acting shocks was not factory-equipped with an anti-roll bar (although the front wore a . 938-inch bar). but one can easily be added to improve handling and control. Front suspensions received redesigned spindles in 1967 to accommodate standard drum or optional disc brakes. and parts are easily swapped. Four-wheel 9. 5-inch drums were standard in both 1966 and 1967; first-year options included power assist. aluminum front drums and metallic linings. The often-selected power-ventilated 11. 12-inch discs with semi-metallic pads were a new option in 1967. greatly increasing the GTO's available braking power. Replacement parts for both braking systems are available from many major suppliers. 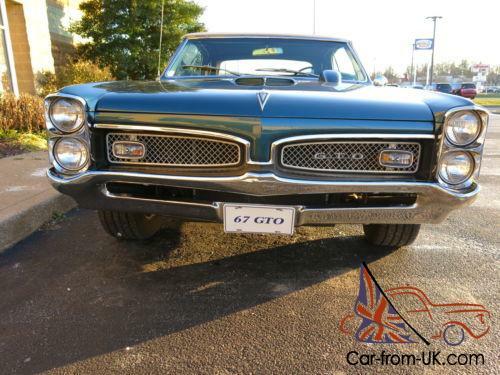 Two frames were available under closed GTO models-standard was an open-rail design. while the optional heavy-duty boxed design was borrowed from convertible models to create a hugely stiff and sturdy platform. Rust can attack the metal in key spots. so be sure to check the body mounting frame braces and the rear control arm/differential mounting area. 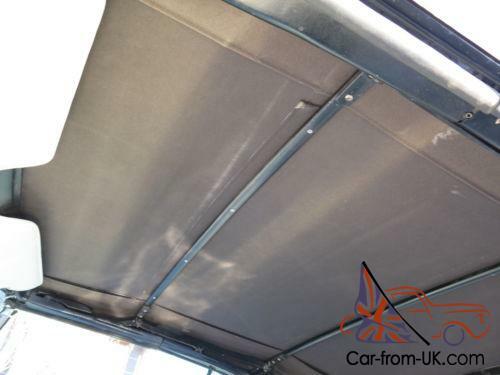 While cars with frame rust can be repaired. 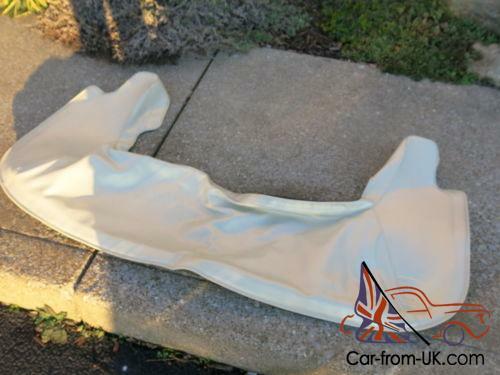 it's always less expensive in the long run to simply choose a car without corrosion. because the structure won't have been weakened or require hefty reinforcements to bring it back to spec. "GTOs were solidly built. says Scott Tiemann. 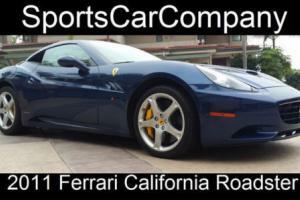 restoration expert at Supercar Specialties. Inc. "But their back window area is problematic (with the buttress styling). as trapped water would find its way into the trunk. Crawl inside the trunk and shine a flashlight up at the area under the window to check for damage or improperly finished repairs. " Another rust-prone area is at the base of the windshield. where Scott suggests repeating the flashlight trick and shining a light up under the dashboard. A leak from this area might lead to rusty floorboards under the footwell carpeting; poorly executed repairs can be a big hassle to fix. Typical rust spots include the bottom of the front fenders. sills and the trunk floor. 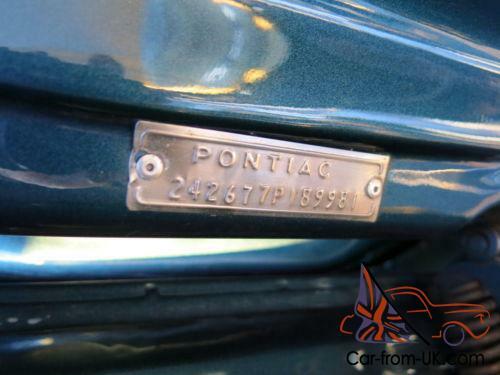 The space-age vinyl Morrokide upholstery that Pontiac fitted to all GTOs is very durable. 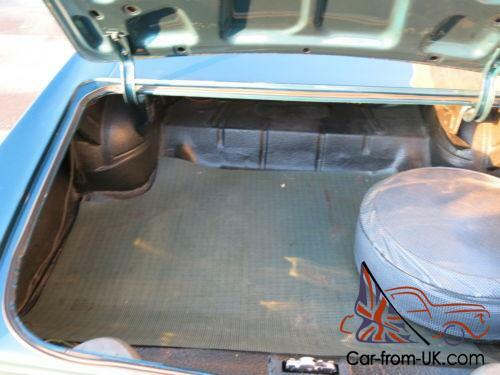 and 1966-67 seats and door panels differ only in stitching. Sewn seams mark where the material is weakest. but seats rarely split. Dashboards may crack due to years of temperature extremes. but replacement caps or entire dashes are easily obtained. and interior knobs and switches last for years. Nearly every interior trim piece is inexpensive. and carpeting. floor mats and headliners are shared with other A-body vehicles. 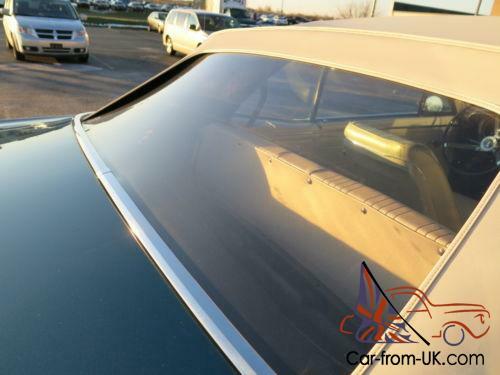 Complete vinyl convertible tops are also reasonably priced and readily available in many colors. One reason why Pontiac's most famous muscle car is so popular to restore is because nearly every part required is easy to locate and afford. For owners looking to perform factory-correct restorations. the vast number of NOS parts. OEM parts and reproduction parts out there make GTOs an easy project. From sheetmetal (whole pieces or patch kits) to chrome trim (inside and out) to minor fittings. everything has been reproduced. sometimes with better quality than the originals. But not all parts are made equally: Beware of cheap ones that will require a lot of fitting to work. because what you save in money can easily be negated by aggravation. 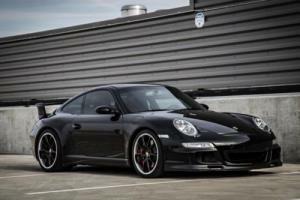 For owners who are willing to modify their cars for better performance. the vast quantity of various stock GM parts that will bolt right onto the A-body means that a car can be built to satisfy any taste. Can't find an inner fender or a replacement door handle? 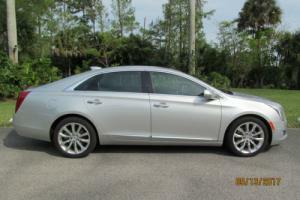 Try a similar-vintage Chevy Malibu or Oldsmobile 4-4-2. It's that simple. We do have a complete collection of photographs that document every aspect of this vehicle. so please request them! And be sure to mail us if you have any questions! Please also keep in mind that this vehicle is being advertised via other retail venues. so we reserve the right to cancel this auction at any time and without notice. Bid with confidence - we have been a member of eBay since November 1998 and we have a 100% feedback rating!! We do have a complete collection of photographs that document every aspect of this vehicle. so please request them! And be sure to mail us if you have any questions! Please also keep in mind that this vehicle is being advertised via other retail venues. so we reserve the right to cancel this auction at any time and without notice. 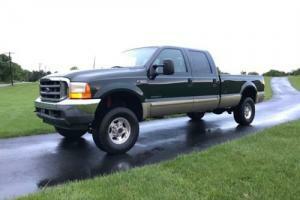 *This vehicle is located in Southern Indiana - more information or photographs are available upon on request. While every reasonable effort has been made to ensure the accuracy of the description of this vehicle. mistakes regarding hp ratings. options. etc. can be made. I have also done my best to be very honest and very critical about the cosmetic and mechanical condition of this vehicle. Of course. it is not always possible to pick-up on every minor detail or flaw. Please keep expectations realistic as this is a pre-owned vehicle. and I have personally found blemishes on brand new un-driven vehicles. If you are an exceptionally detailed oriented person. please contact me to verify any information directly. and I will do my best to specifically photograph anything you request and to answer any of your questions to the best of my ability.